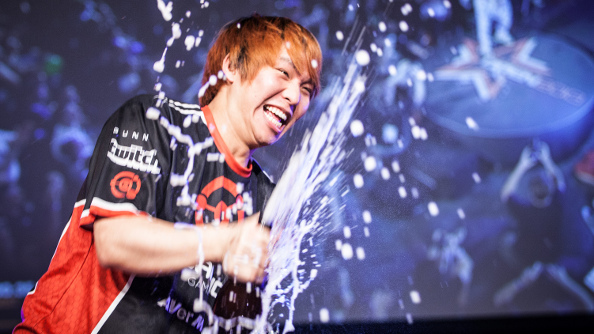 Ko “HyuN” Seok Hyun is a tremendous professional StarCraft 2 player who enjoyed an incredibly successful 2013, during which he won DreamHack Valencia, finished second at MLG’s spring championship, and racked up a slew of semifinals appearances in other major tournaments. He should be be at the top of the world right now, except that he may never see a dime of the $23,000 he earned in prize money and salary. 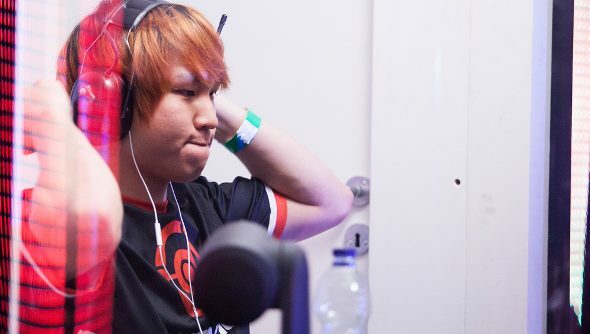 Now, with his Quantic team unraveling and his CEO gone missing, one of the best Zerg players in StarCraft may be depending on the kindness of strangers to continue his career. What’s surprising about this story is that it’s happening to a major player in StarCraft 2. But when it comes to the basic storyline — an absent manager, vanished prize money, financial defeat from the jaws of progaming victory — Hyun’s story is a depressingly familiar one in the world of eSports. Esports are still on the frontier of sports entertainment and video games and, like any frontier, they attract and odd mix of visionaries, dreamers, opportunists, and con artists. Making matters even more confusing, a lot of eSports stakeholders can be all of these things at once without ever being aware of the contradictions. That means it can be tough to distinguish between the promising young team owner or event organizer who is going to lead his team to rich sponsorships, and the one who will take the money and run. It’s a great line, funnier because it is so very true of eSports. There is always someone else waiting in the wings with dubious financial backing and stunningly ambitious ideas, and there’s never a shortage of credulity for them to tap into. But it’s players who may get the worst of the deal. In addition to practicing countless hours, traveling around the world to compete under all kinds of conditions, and defeating their most talented rivals, professional players too often find themselves fighting an entirely new battle just to get the money they won fair and square. When the money goes missing, eSports players face a lot of obstacles to getting it back. Things in eSports have a way of ending in spectacular, messy fashion, and that means there’s often no money to be had and sometimes not even a clear idea of who now owns the debt. But the CPL never managed to right the ship and shut down in 2008, with thousands of dollars of prize money still unpaid. Oddly enough, after the brand relaunched years later under new management, some of old CPL prize awards finally started paying out, with the 2007 World in Conflict winners finally getting their paydays in 2011. The thing is, by that point the money isn’t going to save anyone’s progaming career. Pro players who aren’t salaried depend on prize money to sustain themselves and augment whatever sponsorships they manage to acquire. That’s the situation that most competitive gamers find themselves in, especially those in games who have yet to become breakout eSports successes. This describes the situation facing TrackMania players who are still waiting on payment from the Electronic Sports World Cup dating back to 2008. The situation gets murkier, however, when you consider that the ESWC went bankrupt in the intervening years and it’s not clear what is the status of its prior obligations. Players in situations like this don’t have a lot of leverage. StarCraft 2 and Dota 2 organizations and players have clout because they have the power to determine whether an event organizer can even run a successful event in the future. But in games that don’t draw big crowds and viewership, players are easier to throw under the bus. Indeed, since the amounts of money involved are rarely that big, it’s unlikely players will have the motivation or the wherewithal to take their cases to court. Even when major organizations with deep pockets are involved, payment can be difficult. After IPL 5, the IGN Pro League ceased operation as IGN sold off pieces of the division. In the fallout from that, a large number of players who were owed quite a bit of money from the final IPL event did not get paid. When Park “DongRaeGu” Soo Ho raised the issue publicly, a number of other players (including the event’s top finishers) confirmed that they, too, were still looking for their payments. The advantage of having a team organization behind you, of course, is that they are supposed to take care of these issues and let players focus on their jobs: winning tournaments. But as Hyun is finding out, that is a tremendous act of trust. In this case, it appears that trust may have been misplaced. The Daily Dot describes an organization in complete disarray as Quantic’s owner, Simon Boudreault, has effectively disappeared and left his players and staff to their own devices. But nobody has been more damaged by this than HyuN, whose DreamHack winnings from 2013 were delivered not to him, but to his team. Given the routine mismanagement HyuN described in his initial post on Team Liquid — expensive last-minute flights and travel arrangements, first-class tickets on international flights on a whim — it seems likely that there may be nothing left for him to recover. According to Polygon, Boudreault had staked the entire company on a League of Legends gamble that did not pan out.